The Dallas Wings and the Las Vegas Aces will both be gunning for a victory on Wednesday when they meet at Mandalay Bay Events Center. Both teams are having up and down seasons. They can’t find consistency so tonight could catapult one of them. Oddsmakers opened the Wings as -2.5-point favorites versus the Aces, while the game’s total opened at 169.5. Dallas is -2 now and the total is down to 168. The teams last opponents, Minnesota and Los Angeles have been the WNBA standard bearers for quite a while. Teams such as Las Vegas and Dallas can only wonder what it’s like to enjoy the kind of success the Lynx and Sparks have had during their recent run. Neither team has players left from their winning days. 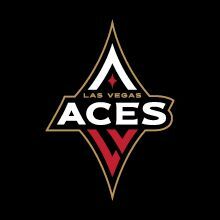 The Aces won 15 games over the past two years playing as the San Antonio Stars before moving to Vegas. The Wings fared a little better. They won 27 times during that span. They made the playoffs in 2017. This year, the two have shown brief flashes of progress but still have a way to go. The Aces are coming off a loss to the Lynx. It is a loss that should provide a good learning opportunity for Bill Laimbeer‘s squad. They got a good look at what makes up a contender. The Aces will have to control Dallas superstar Liz Cambage if they are to have a chance. She is a one woman wrecking crew. The Wings are playing their third game in four nights. Tonight’s game is a back-to-back. On Tuesday, Dallas lost to the Sparks 87-83 in Los Angeles. On Sunday, the Seattle Storm beat the Wings, 97-76. They brought the energy in the first half Tuesday. The team carried an eight-point lead throughout the first half and led by four at halftime. Dallas went up by eight in the third quarter. The Sparks fought back to take a lead in the fourth quarter,and ultimately win the contest. Liz Cambage led the Wings with 25 points and 14 rebounds, her fifth double-double of the season. The Wings were unable to stop Seattle’s Breanna Stewart (28 points and 12 boards) on Sunday. In Tuesday’s loss, Candace Parker knocked down 29 points for Los Angeles. The Aces’ A’ja Wilson could have a field day as she averages 20.1 points and 8.5 rebounds. Get a 100% Bonus up to $1,000 at the Worlds Oldest Online Sportsbook, Intertops!! !